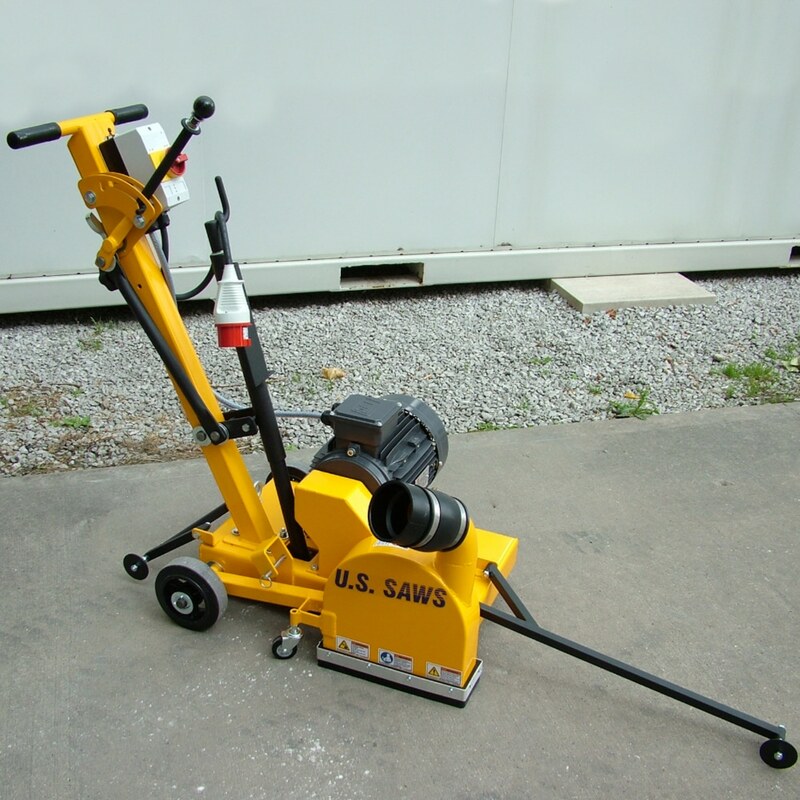 Home / Shop / Dust Control / Joint Cutting, Cleanout / JS-130 Joint Saw, dust free cleanout of slab and floor joints. JS-130 Joint Saw for dust free clean out and preparation of slab and floor joints prior to filling and sealing. 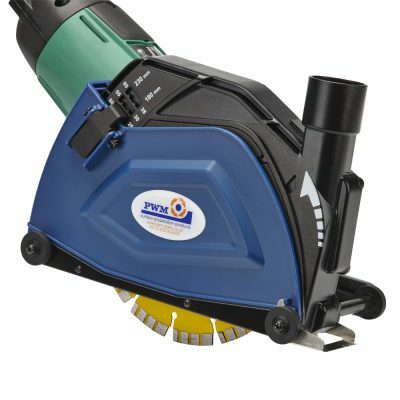 JS-130 Joint Saw offers dust free operation when connected to a suitable vacuum. 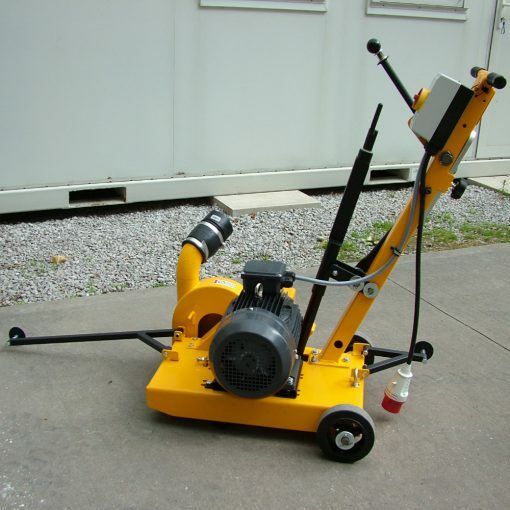 This machine is designed to mill out dirt and debris from existing control joints prior to filling, or to remove existing joint fill material in need of replacement. The material is milled out of the joint in an upward direction and is collected by the debris collection port. Production speed is dependent upon site conditions. 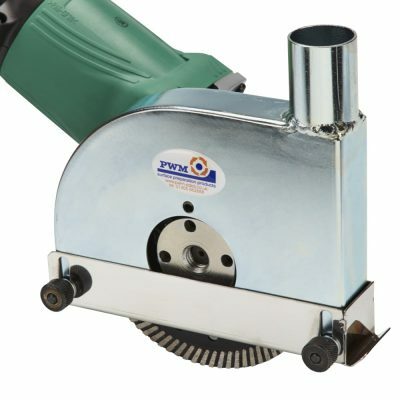 The JS-130 is designed for dry cutting and can be fitted with blades of 200mm or 250mm diameter. Maximum depth of cut is 50mm and 75mm respectively. 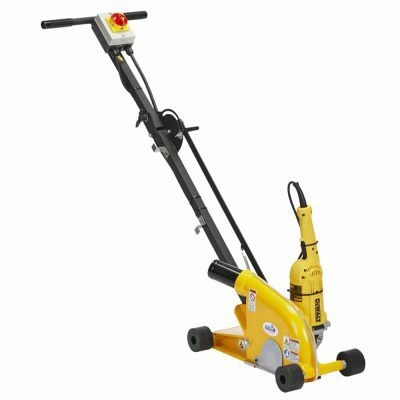 The saw operates with an up cut rotation for easy control and the most effective dust control possible. A typical work rate for joint clean out would be 6 – 18M / min. Production rate is greatly dependent upon site conditions. 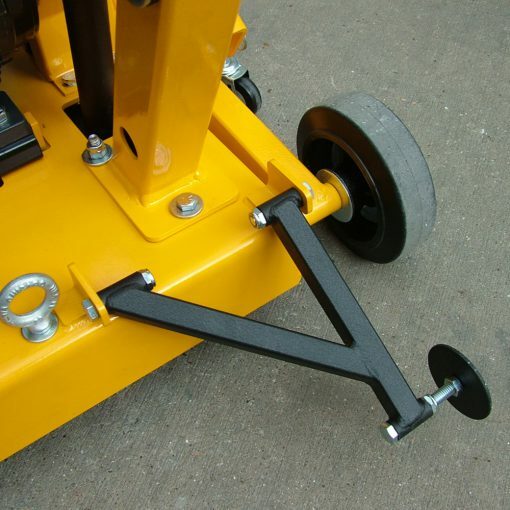 The depth of cut is set and controlled by a threaded hand wheel system. 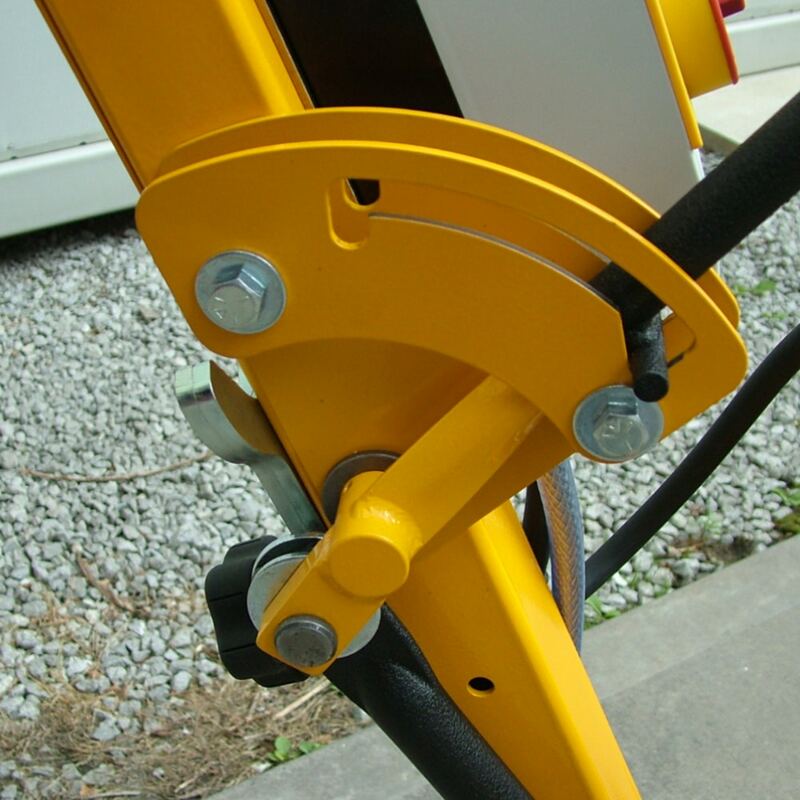 A secondary quick raise lower system permits easy raising and return to the preset depth. A locking collar is also fitted to ensure a constant depth of cut is maintained. Front and rear guide pointers are fitted to ensure accuracy. A multi flange blade shaft permits channel cutting and multiple blade assemblies as required. Single blades can be fitted – 3mm, 6mm, 10mm and 13mm. The Blade guard / dust control guard pivots on the rear axle and runs on a castor. 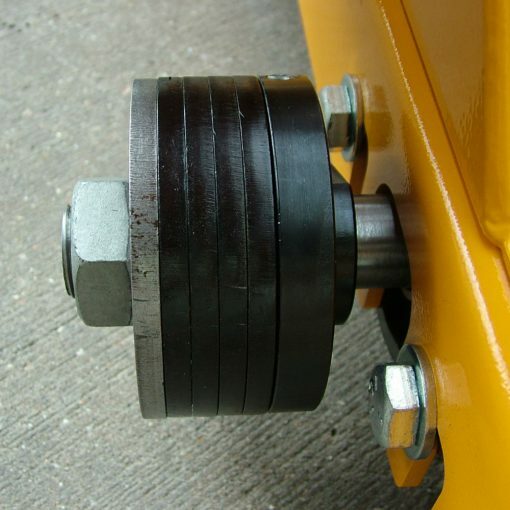 The height is adjustable to ensure the dust skirt is always firmly in contact with the surface to ensure a dust tight seal.This adjustment also compensates for wear on the dust skirt. The guard is free to move independent of the machine ensuring constant and effective dust control. 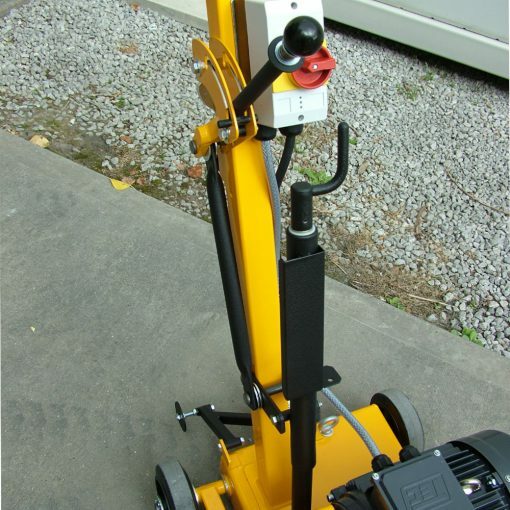 The JS-130 is available powered by a 13 hp Honda petrol engine or a 4kW three phase electric motor.